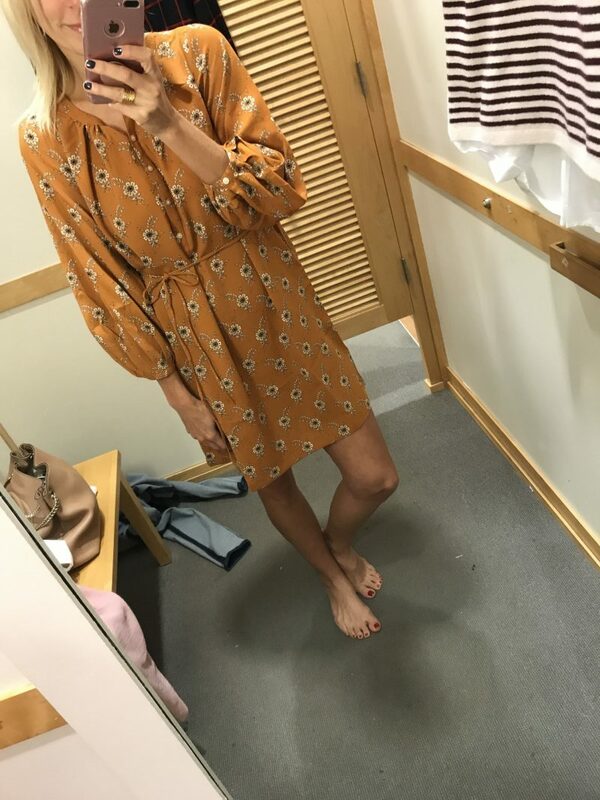 Since the Loft Friends and Family Sale is still going on I thought it was a perfect time to share some dressing pictures with fit info. 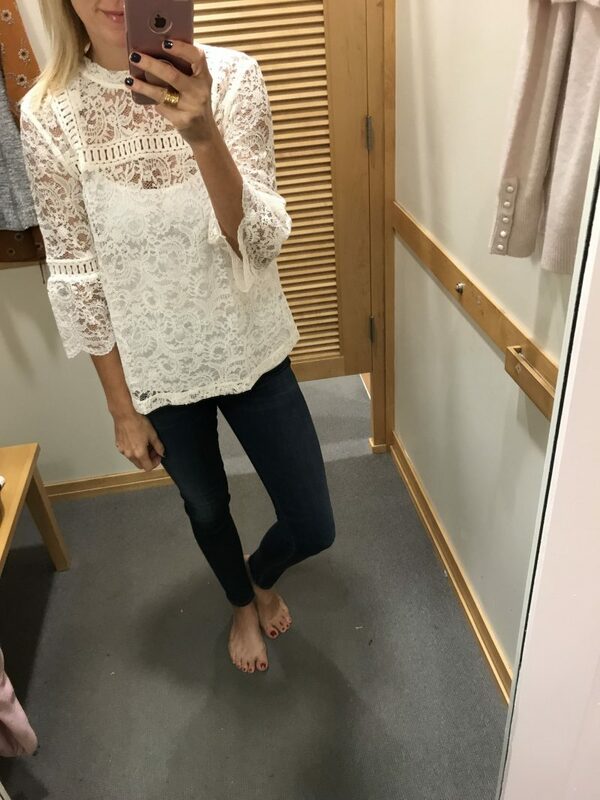 They have some really cute stuff right now and it is all 40% off. Use code FRIENDS at checkout. 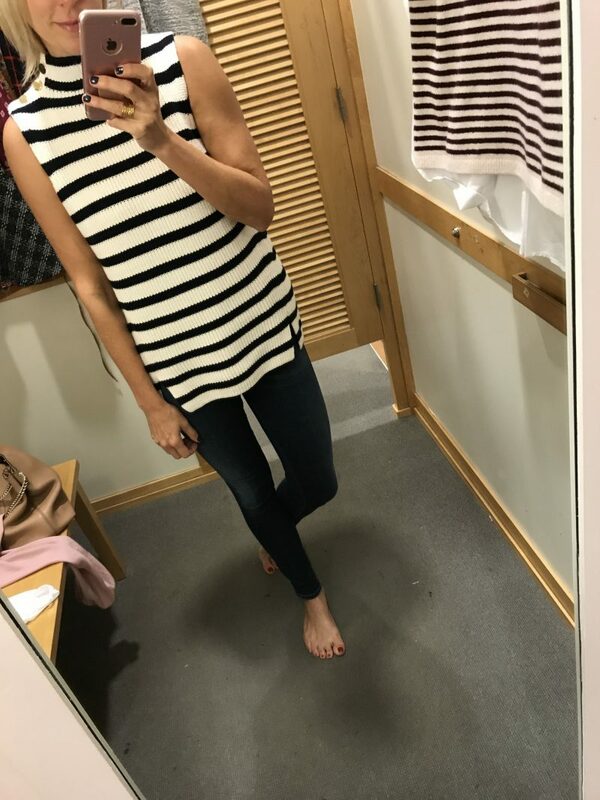 I tried to denote what size I am wearing and what I actually bought as well. For me Loft can be really hit or miss, so I tried to dig through and pull what I thought were the best picks. 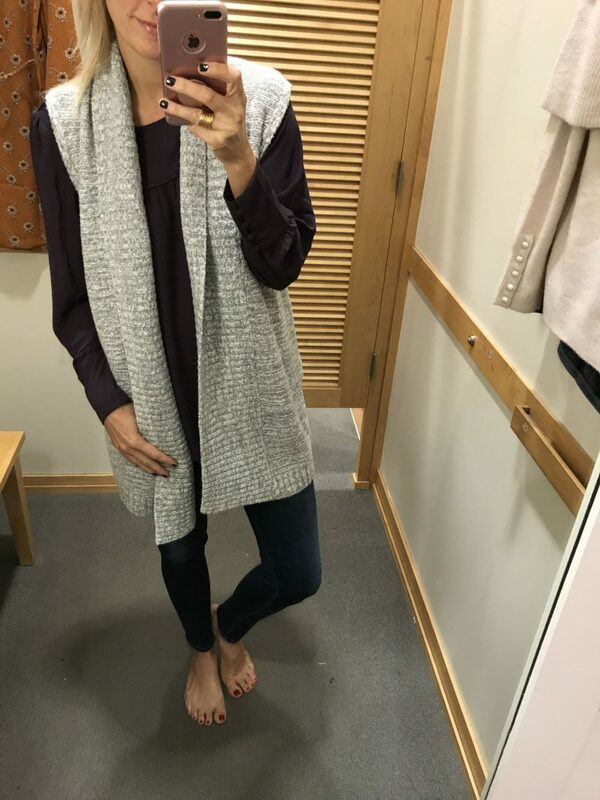 It is a great time to add some Fall basics to your closet. Also I had several questions about my ring in these pictures, you can shop it HERE. It is one I wear daily. I bought this sweater vest in both colors. My favorite purchase for sure! Love it so much and it is so versatile. I tossed it with a few different outfits that you can see below. I am wearing the size XS/S. I am wearing it with this black dress that I also bought. Such a great basic black dress. I am wearing a size small. 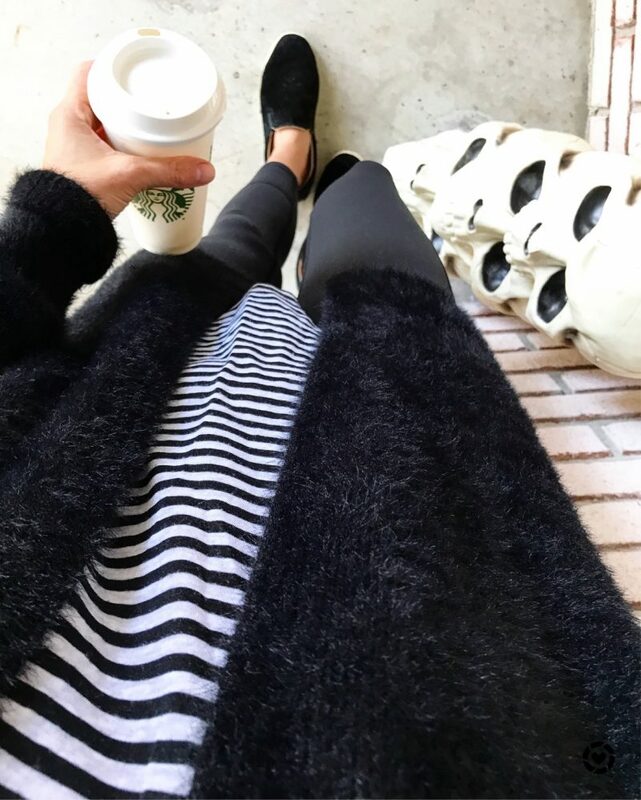 It is cute with flats and booties. This Plaid Blouse is perfect for Fall. Super cute alone but I love it layered with the vest too. The length is great because it is longer. I am wearing a small in the blouse. Looks like the black vest is not online but my store had it, so check your store if you want the black (although it is a blackish green color). 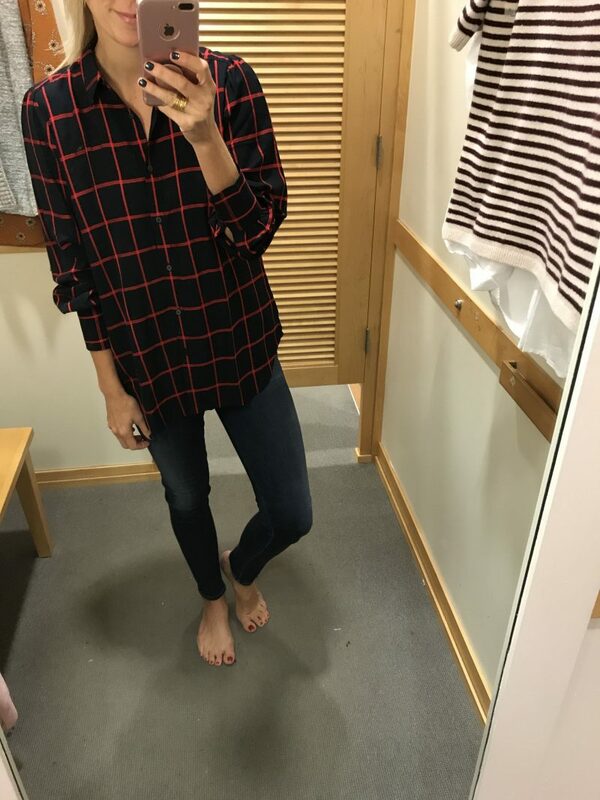 I loved this plaid blouse, and actually bought it too. It reminded me so much of the basic Equipment blouses. 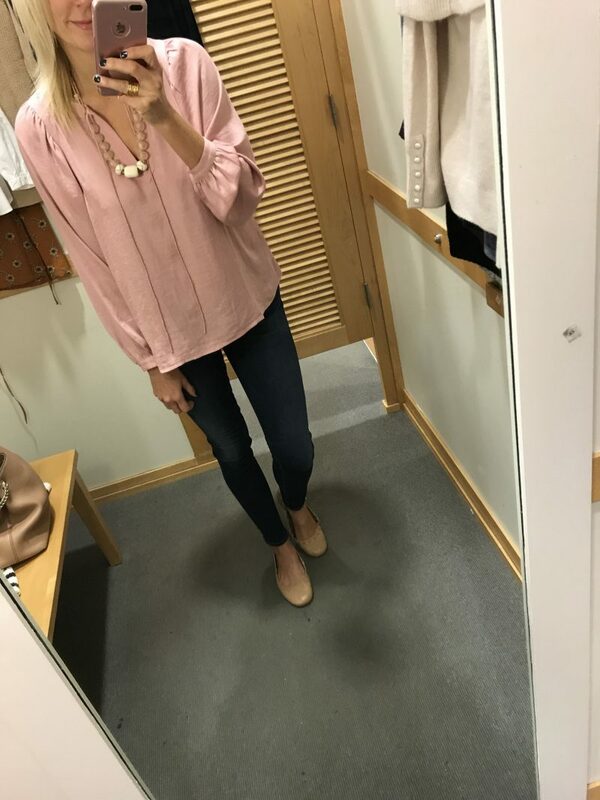 The fit is fantastic and it is a great length. I am wearing a small. This had such pretty details and also comes in black and purple. I am wearing a size small. I almost bought this one and I still kind of wish I did. 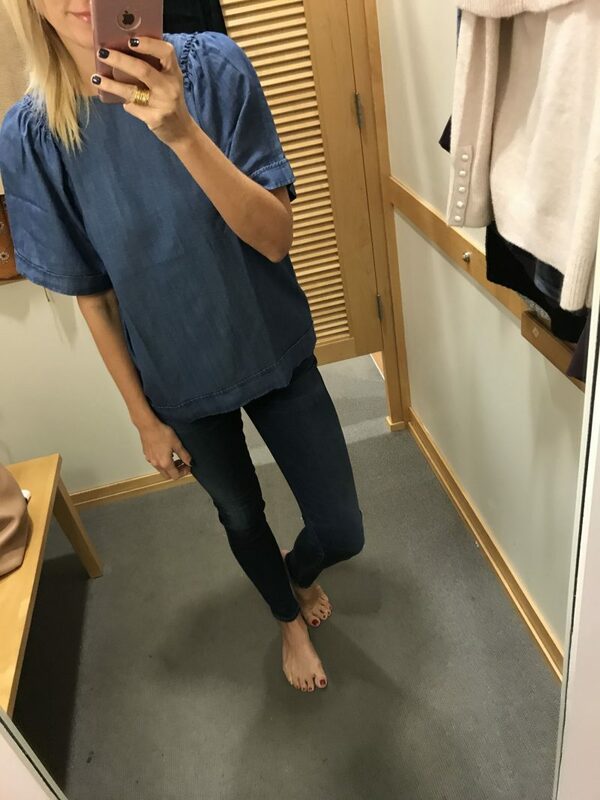 Super soft chambray and love the sleeve details. I am wearing a size small. This is another that looked similar to some Vince sweaters I have seen. I am wearing a small. 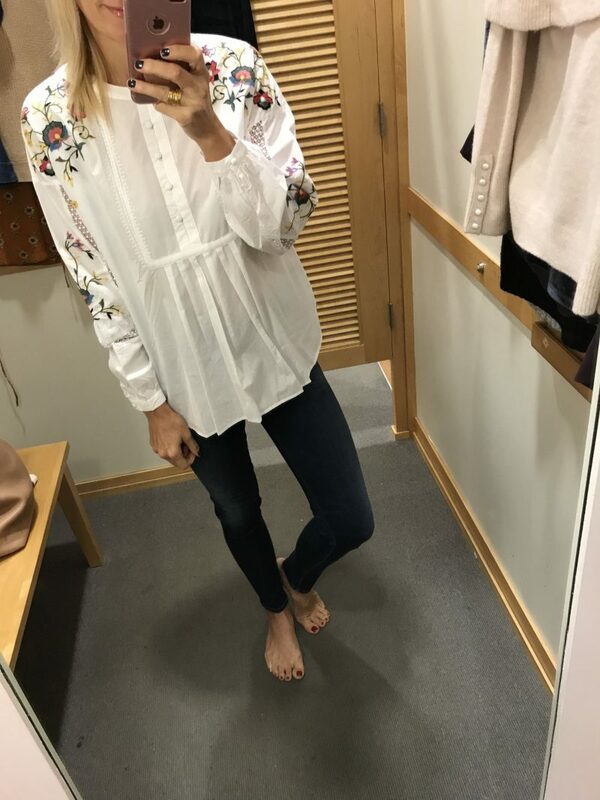 This reminded me so much of several Vince and Joie blouses but it is only $35!! I am wearing a small and I own this one. This is one of those blouses that can take you from work to play. I loved the eggplant color and fit. I am wearing a small. Probably one of my favorite pieces because it is so versatile. This has the cutest button details on the sleeves. I am wearing a size small. 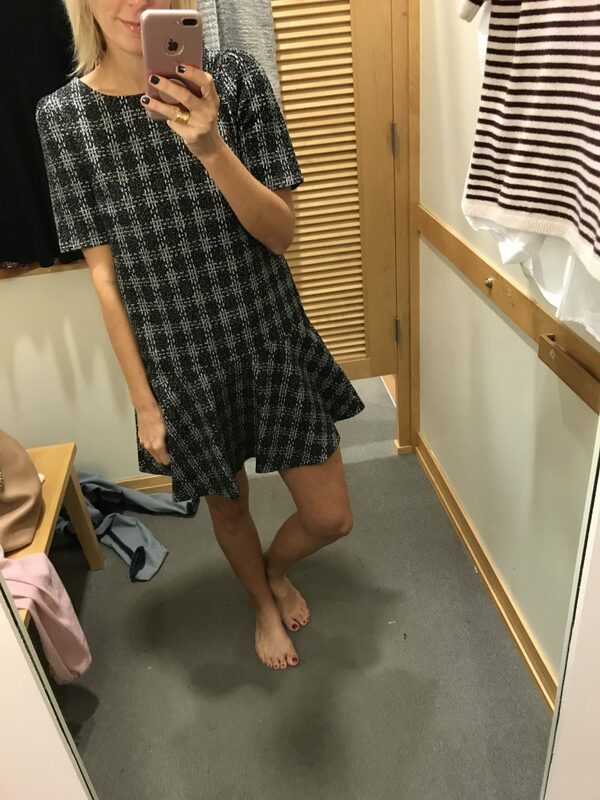 Also comes in black and was so cozy! Love the idea of this paired with leggings since it is longer. I bought this one, I loved the velvet and it will be great for the holidays. I am wearing a size small. This picture doesn’t do it justice, the shade of blue is so pretty in person. Wearing a size small. This would be so cute for a party or church. 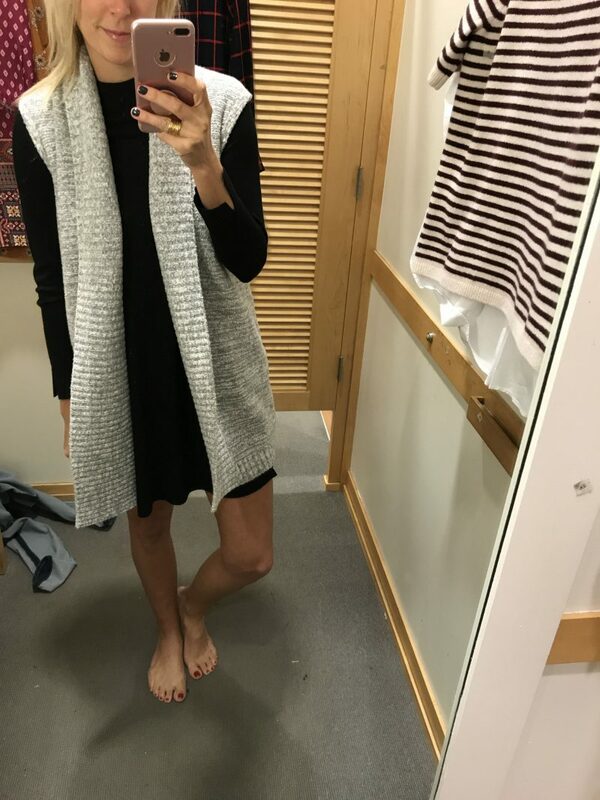 I don’t normally do sleeveless sweaters but this one shocked me when I put it on, I loved it. Great length, with cute side slits. Would be adorable with a blazer over top. This would be a great dress for work. I think I would like it better paired with a different belt or maybe no belt. I love the mustard color, would be adorable paired with booties. Wearing a size small. 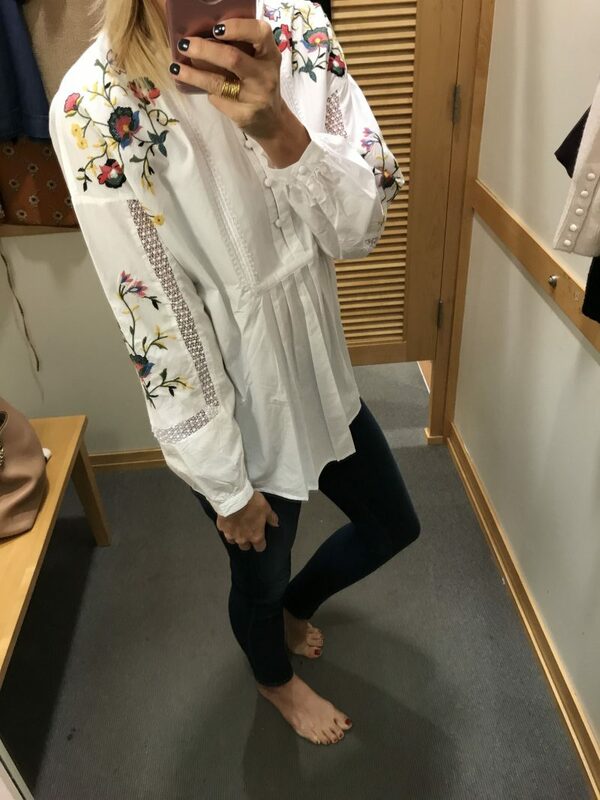 The embroidery on this blouse is so pretty. Wearing a size small but it runs on the large side. 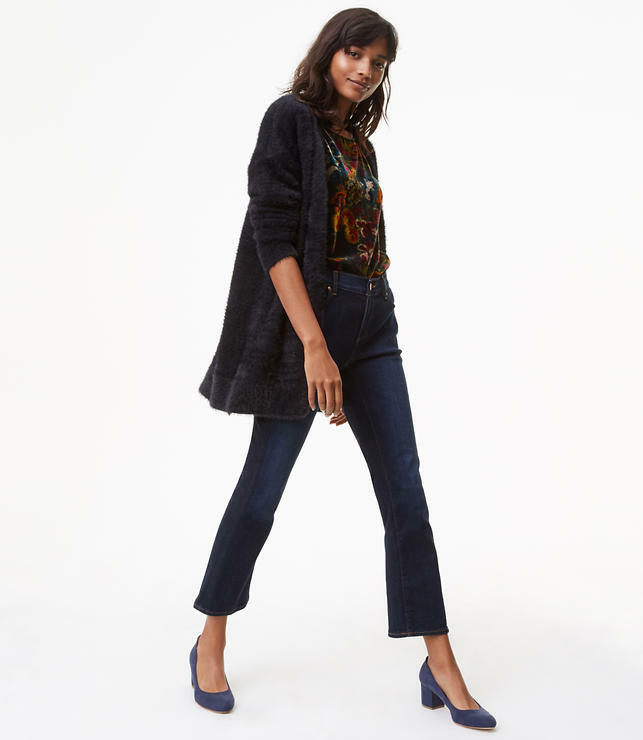 This cardigan is a real winner. I am wearing the size small. Comes in several colors. I also picked up this fuzzy cardigan. It is so soft! I am wearing a size small. 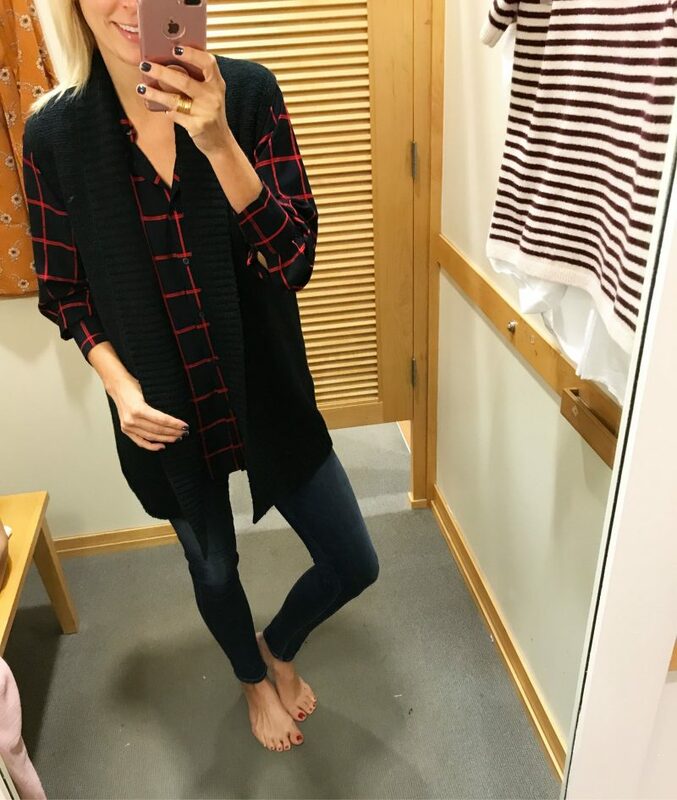 I love your style so much and your Dressing Room Diaries posts are some of my favorites!